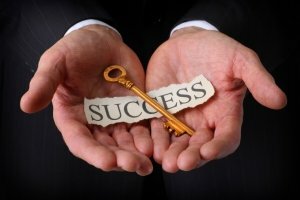 What are the secrets of a great entrepreneur? Today, I’ll share 8 things Entrepreneurial people do differently. Thanks to Joe Van Brussel for writing this article. Enjoy! Entrepreneurship goes beyond Elon Musk, Mark Zuckerberg, and Garrett Camp, and it embodies something bigger than Twitter and WhatsApp. Entrepreneurship is a mindset, an attitude, and a lifestyle adopted by people who aren’t satisfied with the status quo. They’re brave enough to commit to their dreams. Entrepreneurs choose to forego the security and familiarity of a ‘regular job’ to live an uncertain and insecure lifestyle. It takes a lot of bravery to make that tradeoff, but for icons like Walt Disney, the potential reward is worth it. Since they’re in the business of creating new products and inventing new ways of doing things, much of what entrepreneurs do can’t be taught in a classroom. They know that the most important lessons are learned through living, so throughout their lives, they remain open, flexible, and curious in order to absorb as much as possible. Rarely does an inventor or entrepreneur succeed on the first try. To create something lasting and worthwhile, it usually takes years of hard work, focus, and dedication; an idea is just a starting point. Kelly Zen-Yie Tsai, a spoken word poet and the founder of a production company, believes this level of persistence is a critical element of entrepreneurship. “That’s what it means to be an entrepreneur: to really focus on that one thing that does not exist yet and keep working towards it until it becomes real,” she says. For most of us, the fear of failure is entirely paralyzing, but for entrepreneurs, failure is something to embrace. It’s an indication of pushing the limits, and inevitable when one is constantly trying new things. Entrepreneurs want to do more than indulge their own interests — they want to solve a problem or create a product that satisfies a need. Some started businesses because of frustration with an inefficient or defective system. Others were moved by a personal encounter with poverty or misfortune. Blake Mycoskie, the founder of TOMS, started his business after traveling to Argentina and seeing kids who didn’t have shoes: “An absence that didn’t just complicate every aspect of their lives — including essentials like attending school and getting water from the local well — but also exposed them to a wide range of diseases,” he writes in Start Something That Matters. Ben Cohen and Jerry Greenfield, the co-founders of Ben & Jerry’s ice cream, started out in a renovated gas station in Burlington, Vermont, before growing a globally recognized brand that features unusual flavors like ‘Cherry Garcia’ and ‘Hazed & Confused.’ They’re also pioneers in the socially responsible business movement, speaking often about how business can give back to the community and earning Ben & Jerry’s a B-Corporation certification. Entrepreneurs execute when for many others, an idea simply fades into the past. They are masters of turning the abstract into the concrete. This seemingly simple action is one of the great challenges of life and in the end, it’s what defines an entrepreneur.